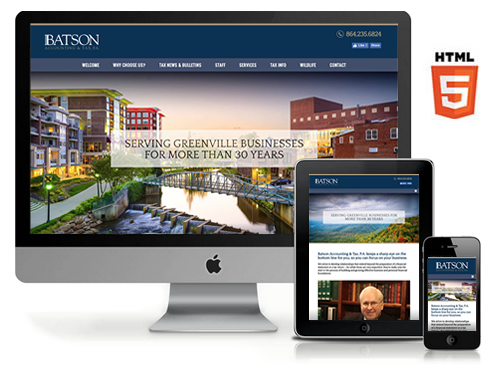 GREENVILLE, SC - Stratatomic has recently launched a new website for Batson Accounting & Tax, P.A., now available at BatsonTax.net. The new website which recently debuted is based on the latest HTML5 technology and incorporates a "responsive" design that automatically adjusts to fit any screen size, be it desktop, laptop, tablet or mobile device. The website includes information on the firm's services which includes accounting and payroll services, personal and business tax return preparation, tax advisory services, planning and investment strategies. Batson Accounting & Tax will use Stratatomic's WebAdmin™ Content Management System to update much of the site's content such as tax news and bulletins, forms and downloads. Stratatomic will also provide Search Engine Optimization (SEO) services and web site hosting. Batson Accounting & Tax, P.A., based in Greenville, SC, has served the Upstate for more than 30 years. The firm was founded by Paul Batson, who also serves as an adjunct professor in business and economics at Furman University. For more information, you can contact Batson Accounting & Tax, P.A. at 864.235.6824 or online at BatsonTax.net. 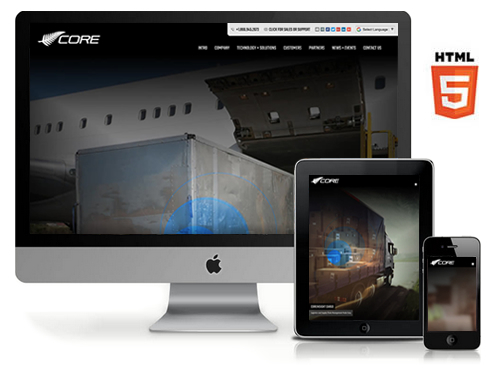 GREENVILLE, SC - Stratatomic has recently launched a new website and identity for CORE Transport Technologies, now available at CORE-TT.com. The new website which recently debuted is based on the latest HTML5 technology and incorporates a "responsive" design that automatically adjusts to fit any screen size, be it desktop, laptop, tablet or mobile device. The website includes information on the company's technology and services, certification documents and service bulletins, customers and partners, news, events and global contact information. Stratatomic will also provide Search Engine Optimization (SEO) services, WebAdmin™ content management and web site hosting. CORE Transport Technologies, based in New Zealand, is a leader in tracking technologies for the transportation and logistics industries worldwide. With decades of experience, CORE has developed scanning solutions to track the movement of products, equipment and assets, as well as the latest technology used to track real-time movements of industry equipment. CORE's innovative COREInsight™ technologies are currently utilized for real-time tracking of cargo, postal products and Unit Load Devices (ULD). CORE Transport Technologies also provides data and analytics and supply chain management solutions. 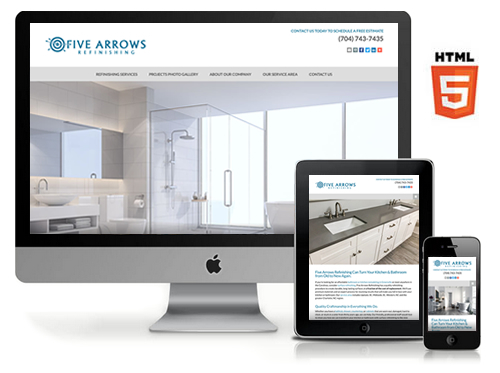 GREENVILLE, SC - Stratatomic has recently launched a new website and identity for Five Arrows Refinishing, now available at FiveArrowsRefinishing.com. The new website which recently debuted is based on the latest HTML5 technology and incorporates a "responsive" design that automatically adjusts to fit any screen size, be it desktop, laptop, tablet or mobile device. The website includes information on the company's refinishing services, a projects gallery, service area and contact information. 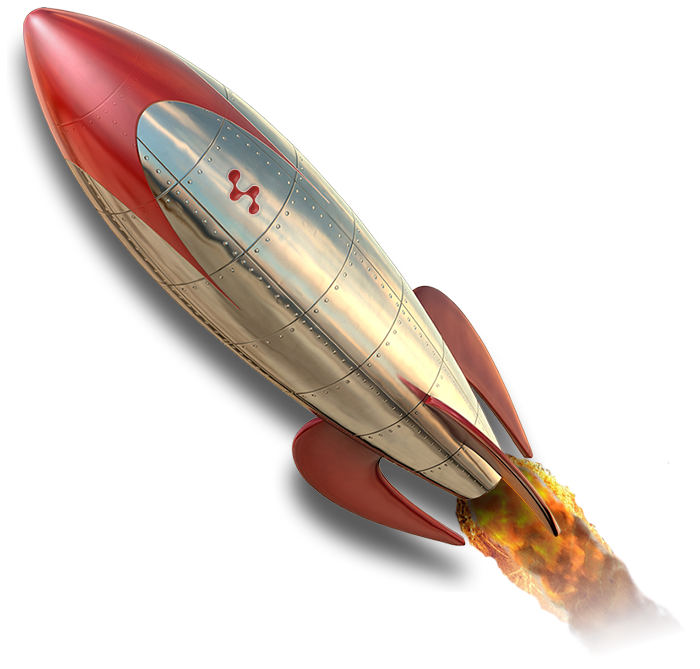 Stratatomic also designed the company's new logo and identity and provided them with vehicle design services. Stratatomic will also provide Search Engine Optimization (SEO) services and web site hosting. Five Arrows Refinishing, is a professional refinishing company located in Greenville, SC. Their services include bathtub and shower refinishing, cabinet refinishing, countertop and tile resurfacing, and sink refinishing and resurfacing. Using the company's proven techniques and exclusive synthetic porcelain coatings, any old ceramic fixture or surface can be restored to like new condition at a fraction of the cost of replacement. Five Arrows Refinishing is a locally owned and family operated business that serves the Upstate and Midlands of South Carolina, Western North Carolina and the greater Charlotte, North Carolina areas. For more information, you can contact Five Arrows Refinishing at 704.743.7435 or online at FiveArrowsRefinishing.com. 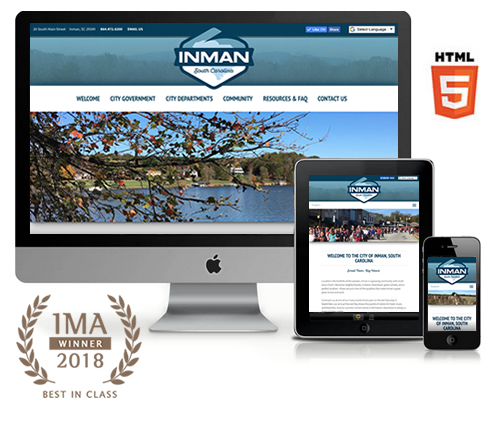 GREENVILLE, SC - Stratatomic has recently been honored with a 2018 'Best in Class' Interactive Media Award in the Government category for the City of Inman website, now available online at CityofInman.org. The Interactive Media Awards is a prestigious international competition recognizing the highest standards of excellence in website design and development and honor individuals and organizations for their outstanding achievement. The 'Best in Class' award is the highest honor bestowed by the Interactive Media Council. According to the IMA, the winner of this award has excelled in all areas of the judging criteria and achieved a perfect, or near perfect, overall score. A website that is awarded 'Best in Class' represents the highest standards of professionalism, standards compliance and impeccable planning and execution, and is one of the world's most well executed websites. To learn more, please visit the IMA website at interactivemediaawards.com. One judge for the IMA commented, "The visual design of this site is simple and basic, but it works. And it works very well. Stratatomic's web design is elegant, appealing and effective. 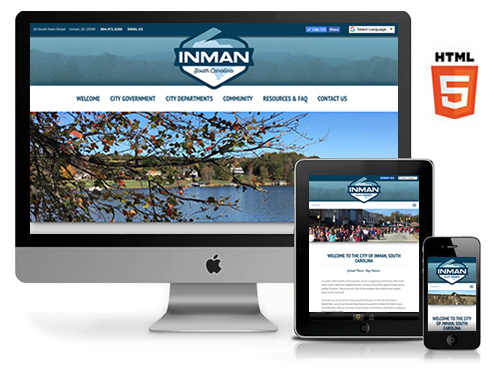 The City of Inman website is a great example of the power of simple elegance." Another IMA judge remarked, "Nice work on code standards. Not many web pages we review score so high in our standards compliance tests. Well done!" 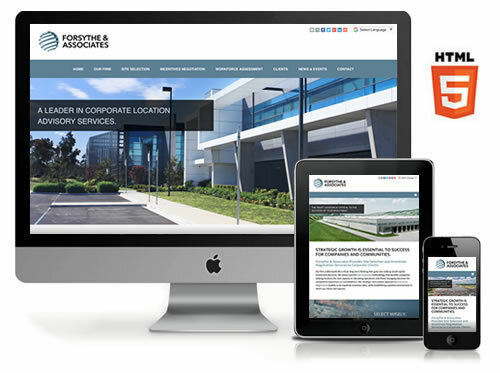 GREENVILLE, SC - Stratatomic has recently launched a new website and identity for Forsythe & Associates, now available at ForsytheandAssociates.com. The new website which recently debuted is based on the latest HTML5 technology and incorporates a "responsive" design that automatically adjusts to fit any screen size, be it desktop, laptop, tablet or mobile device. The website includes information on the company's consulting services, clients, news and events, and a blog powered by Stratatomic's WebAdmin™ technology. Stratatomic also designed the company's new logo and identity and provided them with business cards, Powerpoint and graphic design services. Stratatomic will also provide website hosting and Search Engine Optimization (SEO) services. Forsythe & Associates, based in Greenville, SC, provides Site Selection, Incentives Negotiation and Workforce Assessment services to corporate clients around the world. The firm was recently established by Mr. Jeff Forsythe, who previously served as a principal with McCallum Sweeney Consulting and as a consultant with Fluor. Mr. Forsythe's experience predominantly includes location consulting throughout North America for manufacturing, distribution, and office projects. Responsibilities commonly include: feasibility studies, detailed site/infrastructure and community evaluations, labor market assessments, comparative financial analyses, risk assessments, and strategic real estate and incentives negotiations. Everything you could possibly want to know about Google's index and ranking system is described in this excruciatingly detailed 164 page document, straight from the horse's mouth (published 07.20.18). Over the years we've helped rescue (far too many) clients from website hacking incidents, some of them quite serious. Every one of them utilized common web platforms such as WordPress, Drupal and Joomla, but each incident was also somewhat unique in nature and took advantage of different vulnerabilities. What is important to note about these hacking intrusions is that in most cases the client was not aware of the problem, having no idea that their site was distributing malware, or that their domain was sending spam, or that their email had been blacklisted. We've compiled this guide to show you the real emails, screenshots, and search engine reports so that you can see for yourself the common issues faced with these CMS systems. 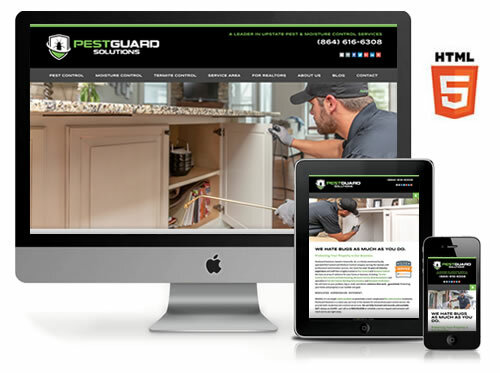 GREENVILLE, SC - Stratatomic has recently launched a new website and identity for PestGuard Solutions, now available at PestGuardSC.com. The new website which recently debuted is based on the latest HTML5 technology and incorporates a "responsive" design that automatically adjusts to fit any screen size, be it desktop, laptop, tablet or mobile device. The website includes comprehensive information on the company's products and services, social media integration and a blog powered by Stratatomic's WebAdmin™ technology. Stratatomic also designed the company's new logo and identity and provided them with business cards and flyers. Stratatomic will also provide Search Engine Optimization (SEO) services, web site hosting, and Google Ads campaign management. PestGuard Solutions, based in Greenville, SC, is a family owned and locally operated Pest Control and Moisture Control company serving the Upstate with professional extermination services. The company provides an array of solutions for both residential and commercial, including, Termite Control, Pest Control and Exterminating, Moisture Control, Mold Remediation and specializations in Fire Ant Control, Bed Bug Extermination and Mosquito Eradication. GREENVILLE, SC - Stratatomic has recently launched a new website for Spartanburg-based Elite Audio, now available at EliteAudioOnline.com. The new website which recently debuted is based on the latest HTML5 technology and incorporates a "responsive" design that automatically adjusts to fit any screen size, be it desktop, laptop, tablet or mobile device. The website includes comprehensive information on the company's products and services, image gallery and portfolio, brands and manufacturers, affiliates, current specials and social media integration. 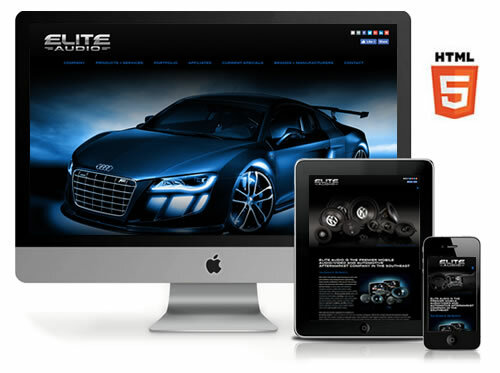 For more than two decades, Elite Audio has been the premier automotive aftermarket shop with products and services including car stereo sales and installation, navigation systems, mobile video, marine audio, motorcycle audio, styling and accessories, custom wheels and performance tires. 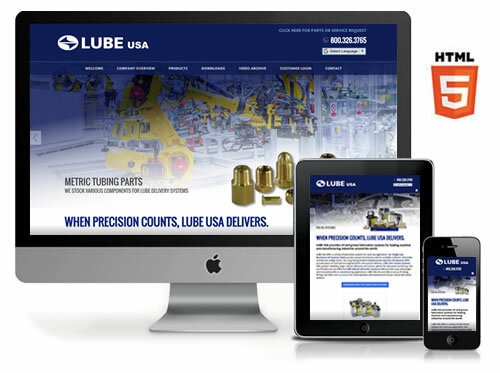 GREENVILLE, SC - Stratatomic has recently launched a new website for Greenville-based Lube USA, Inc., now available online at LubeUSA.com. The new website which recently debuted is based on the latest HTML5 technology and incorporates a "responsive" design that automatically adjusts to fit any screen size, be it desktop, laptop, tablet or mobile device. The website includes a comprehensive and dynamic product catalog managed by Stratatomic's WebAdmin™ content management technology, as well as product data sheets, video archive, private customer portal, and social media integration. In 2018, Lube USA moved its headquarters to a new location and brand new state-of-the-art facility, located at 1075 Thousand Oaks Boulevard, in Greenville, South Carolina. City Administrator Jeremy Caudle said of Stratatomic, "The City of Inman's goal in updating our Website, designing a new logo, and establishing a social media presence was to cultivate an image of professionalism, modernity, and positivity. What Ryan Owens and Stratatomic built for us has met those goals and exceeded our expectations. I agree with one of my city councilmembers when he says our new website is 'Best in the Upstate.' I would go further and say that, out of all city and county governments in South Carolina, our new website is one of the best, putting us at the forefront of e-government. 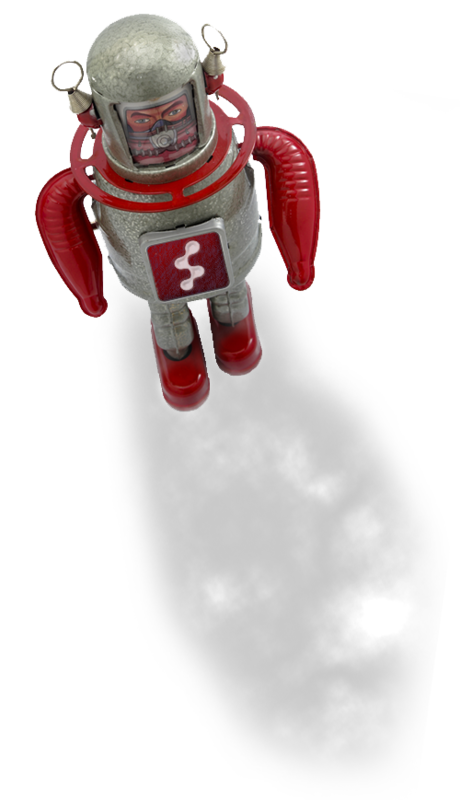 Stratatomic is unequaled when it comes to excellence in web and graphic design, and I highly recommend them." 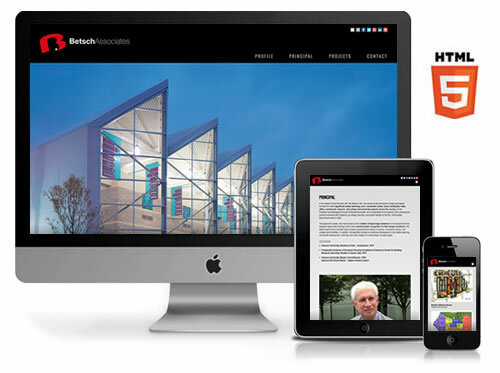 The new website is based on the latest HTML5 technology and incorporates a "responsive" design that automatically adjusts to fit any screen size, be it desktop, laptop, tablet or mobile device. 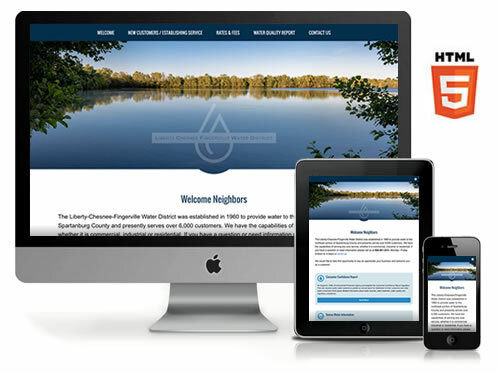 The website includes information for new customers and establishing service, rates and fees, annual water quality report, and online bill payment capabilities. The website also features an emergency notification system powered by Stratatomic's WebAdmin™ technology. Stratatomic will also provide them with website hosting services. We've compiled this in-depth guide to help you better understand Google's search formulas and the methods they use to catalog the web and rank your website. You'll earn your PhD in Searchology and learn about the magic behind the scenes and what makes Google the world's leading authority on Internet technologies. The question on everyone's mind after launching a new website is rather complex and worthy of deeper analysis. There are many factors that contribute to your website's index and subsequent ranking, so we've compiled this easy to understand graphic that helps you better understand the variables to consider and what to expect after launching your site. 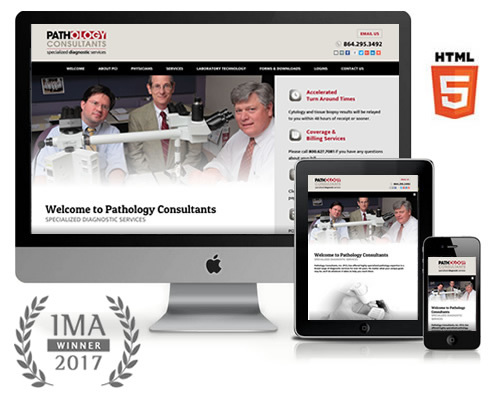 GREENVILLE, SC - Stratatomic has recently been honored with a 2017 Interactive Media Award in the Healthcare category for the Pathology Consultants website, now available online at PathologyConsultants.org. The Interactive Media Awards is a prestigious international competition recognizing the highest standards of excellence in website design and development and honor individuals and organizations for their outstanding achievement. To learn more, please visit the IMA website at interactivemediaawards.com. FROM THE INTERWEBS - Google wants to kill the unencrypted internet, and will soon flag two thirds of the web as "unsafe." Google wants everything on the web to be travelling over a secure channel. That's why in the future your Chrome browser will flag unencrypted websites as insecure, displaying a red "x" over a padlock in the URL bar. With this upcoming change in Chrome, Google makes it clear that the web of the future should all be encrypted, and all sites should be served over HTTPS, which is essentially a secure layer on top of the usual HTTP web protocol. Several companies and organizations have been pushing for more encrypted sites as part of a campaign to "Encrypt All The Things," which consists of promoting more websites to abandon the traditional, less secure HTTP protocol and adopt HTTPS. 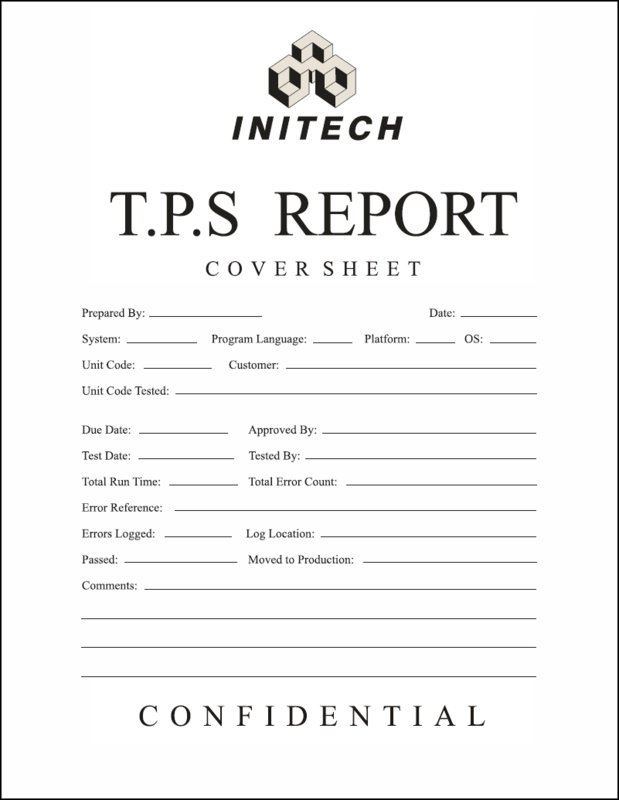 This blog article references a third-party report compiled by the Sucuri™ Remediation Group, a leading Internet security consulting firm and resource for qualitative data and analysis on technology.